The passing of a loved one is never an easy experience. In addition to the sense of grief you’re experiencing, you’re also suddenly faced with a series of decisions that can be difficult to make. This is especially true if your loved one was a veteran. 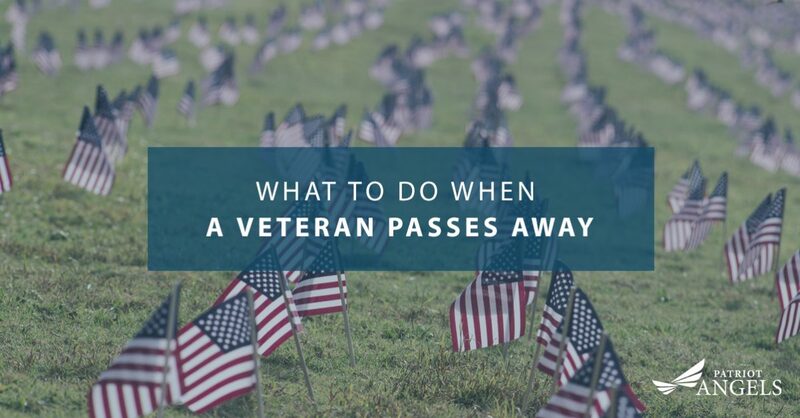 In order to make use of the benefits, honors, and services that your veteran is entitled to as part of their passing, it’s important to understand what you need to do. With these documents in hand, you’ll be able to start planning for any funeral services or ceremonies that the departed had requested. These documents will also help you apply for benefits and programs that are designed to offset the costs associated with these services. With your paperwork in hand, you can begin to plan their service and file for benefits related to your veteran’s service. If the burial of your veteran is taking place at a military cemetery, a Military Funeral and Honor Guard can be requested from the National Cemetery, or the local chapters of the VFW, DAV, VVA, or Amerian Legion. These groups will provide uniformed veterans or delegates who also served in your loved one’s branch of military service. They can help coordinate services like the playing of Taps, serve as pallbearers, or coordinate gun salutes. As part of the long-term healthcare of your veteran, you may have utilized medical equipment that was provided by the VA. In many cases, these are items like wheelchairs, medical beds, hearing aids, or prosthetics. To return these items, you can make a call to your local VA hospitals Prosthetic Department. They’ll pick up these items from your home. For veterans who had G.I. insurance, make sure you contact your County Veterans Service Officer. They’ll help you to complete the insurance forms and any other paperwork related to the veteran’s passing. If your veteran was claiming the Aid and Attendance Pension, these funds can be utilized to help pay for the funeral costs. In many cases, these funds are used to pre-pay for these expenses. Preparing for the passing of a veteran helps to make the transition easier to bear. If you want to help you veteran age with grace and dignity, you can apply for the Aid and Attendance Pension. Patriot Angels can help you connect with the resources you need to offset long-term healthcare costs and even funeral expenses. Contact us today to schedule a consultation.